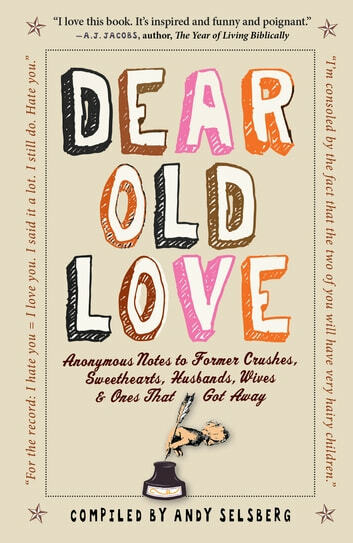 A knowing, funny gift for everyone who's ever been in love and then out of love: the newly single, the lonely-hearted, and even the happily re-paired. 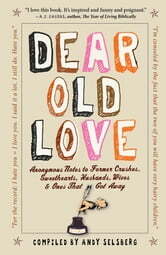 Dear Old Love is a collection of anonymous love notes to the ones who got away—or were left behind. They're the notes that ex-lovers have written to set the record straight. Or crooked. They're concise, witty, melancholy, revealing, sweet, sentimental, outrageous, withering, indignant, sometimes all at the same time. And like a pitch-perfect little poem, each entry paints a complete picture with just a handful of apt words: "A current snapshot of you erased 25 years of fantasizing about what could have been." Or: "I don't care that you miss my dog. When you cheated on me, you cheated on him, too." Or: "I say 'I love you' to people all the time now, to make that time I said it to you mean less."